SACRAMENTO, Calif. – The Public Utilities Commission is considering whether to fine Southern California Edison for its failure to promptly report a nearly $1 billion shortfall in revenues last year that should have triggered action under state law. The commission on Thursday unanimously approved a sizable rate increase in 2019 to cover the shortfall, adding to millions of Californians’ already-high electricity costs. The increase amounts to about 1.4 cents/kWh, adding $11.50 to an average residential customer’s electricity bill in the summer and $7.67 in winter, according to the most recent data available. The commissioners weren’t happy about the decision. They criticized SCE’s failure to act sooner to compensate for a $983.8 million Energy Resource Recovery Account (ERRA) under-collection as of Dec. 31, 2018. Assembly Bill 57 required the PUC to establish the ERRA account in 2002 to reconcile the fuel and purchased power costs that investor-owned utilities can recover in rates but for which they do not earn a return. The resulting regulation mandates utilities alert the PUC if their costs are likely to exceed or fall short of year-ahead projections by more than 4%. The company was aware it had a problem as early as May but assumed market forces would correct it, commissioners said. It was “disappointing” SCE hadn’t raised the matter in June or July, she said. Even more alarming to the commission was the reason for the shortfall. The company cited dramatic increases in natural gas prices in August and November caused by supply constraints and suppliers taking advantage of safety fixes and upgrades as reasons for hiking prices. 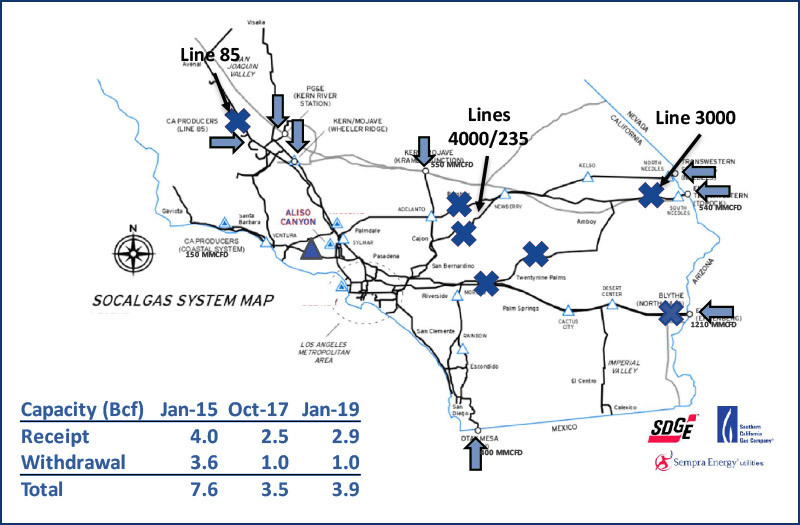 The PUC and California Energy Commission held a joint workshop Jan. 11 to discuss constrained supply and high gas prices in Southern California. 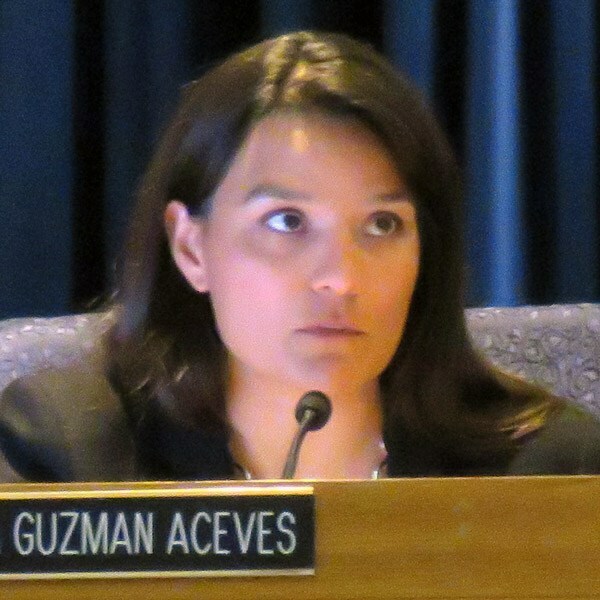 “The gas market is no longer competitive,” Guzman Aceves said during Thursday’s PUC voting meeting in Sacramento. Aging infrastructure and the state’s increasing reliance on renewable sources of electricity are among the factors tightening gas supply, she said. The PUC is weighing proposals to help alleviate the situation including reducing operational flow order (OFO) penalties and ensuring utilities “balance to the core,” meaning they better forecast supply and demand, she said. 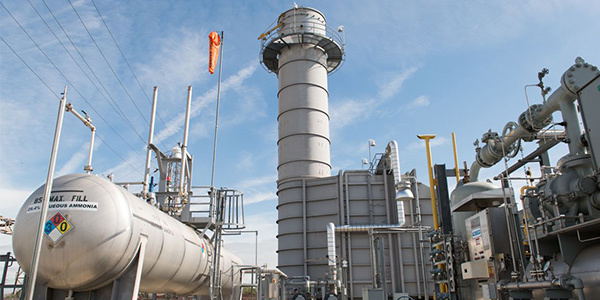 Guzman Aceves said an SCE proposal to establish a cost-based natural gas supply procurement tariff for any CAISO-connected electric generation was “timely and innovative.” The ISO has endorsed the plan. “We have to move beyond the notion that the market itself is going to control the gas price,” she said. Commissioner Liane M. Randolph expressed support for the second phase of Thursday’s proceeding to determine whether to fine SCE. That will happen at a future meeting, still to be determined. “I think it’s important to deal with the fact that the utility did not call out these increased costs in a timely manner so that we could have potentially dealt with them,” Randolph said. Electric ratepayers will see a roughly 5% increase in 2019 to compensate for SCE’s under-collection, Commissioner Clifford Rechtschaffen said. The situation is “quite concerning,” he said, especially when many “people are grappling with the collective cost of utility services” and will have trouble coping with costs that aren’t predictable and stable. Genevieve Shiroma, who was recently appointed to the PUC by Gov. Gavin Newsom, said she wanted to take action to “buffer customers” from spikes in natural gas prices. “It’s a warning signal in terms of what happened last summer,” she said. An EPA official provided regulators with an update on pending CO2 emission limits on existing generating plants. State utlity regulators criticized rules that restrict states’ ability to contract for capacity last week at the Mid-Atlantic Conference of Regulatory Utilities Commissioners’ (MACRUC) annual education conference, and called on PJM and FERC for changes.